I believe we might have alluded to this already, but we have been having a bit of a “problem” with there being wild bats free-flying around the inside of our little slice of heaven on earth. It is only a problem insofar as it isn’t really ideal to have wild animals inside of your house, be they mice or bears, foxes or elk, etc. There’s some novelty but then you remember that all wild animals are not house trained, have fleas, and are probably terrified agents of chaos who destroy things because it is their nature, and will destroy you in order to escape if they think you are a threat. 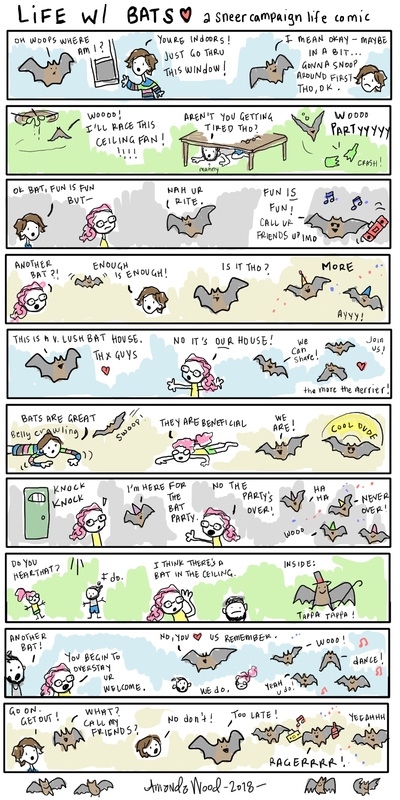 Out of all of the wild animals that have gotten in here, the bats are the easiest to deal with because they will use their echolocation powers in order to not injure themselves on walls and windows, like the birds do, and seem to genuinely want to be back outside, probably because there aren’t thousands of mosquitoes inside. So we just open a window and they find it and leave pretty quickly, hopefully eating all of the mosquitoes we let in before they leave. Don’t worry. We never, ever touch them. Having the odd bat every once in a while wasn’t the worst thing in the world, but lately, the frequency of needing to deal with them has increased dramatically. 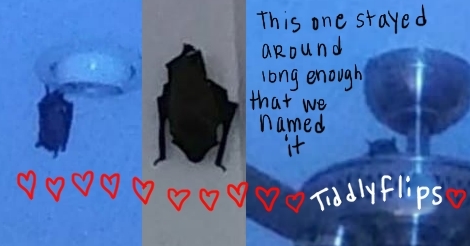 Why have we suddenly had seven bats appear in the past few weeks? We have no idea. Tomorrow, bat extracting professionals are going to come over and give us a hand with sealing up entry points, cleaning guano, and more likely than not, showing us photos they have taken of what will turn out to be the largest house colony of bats ever seen in the tri-state area. And let me tell you right now, if it does turn out that we have a huge colony of bats here, you can expect another bat post asap. In the meantime, since apparently it’s the only thing we can think about or talk about, I drew this slew of nonsense comics to pass the time in lieu of my other actual work I need to do. You just have to understand, we had to acknowledge that 2018 is the Year of the Bat eventually anyway!